Welcome to Heidi’s Hawaiian foodie adventure part III. If you haven’t already, check out Part I and Part II to learn all about her adventure of racing and eating through the beautiful islands of Hawaii with the Epic5 Challenge. After I returned from this trip, if you asked me to choose a course to run tomorrow, Maui would top the list. Mount Haleakala, standing tall at 10,023 feet, took my breath away – figuratively and literally! The runners’ began their 50k by taking in the stunning sunrise. They then descending through lavender fields and an evolving landscape. Chilly temps in the AM (38 degrees Fahrenheit) warmed significantly as we neared the bottom of the now-dormant volcano. Greeting the runners’ with freshly-made smoothies from Sip Me Maui was the perfect ending to this marvelous day – and extra-refreshing as their last 5k included a steep uphill climb. While at Sip Me Maui, I made sure to enjoy my own juice shot to keep my immune system healthy – choosing the “Hot Shot” – a cold-pressed concoction made with noni, apple cider vinegar, black pepper, cayenne, turmeric, ginger and Hawaiian chili pepper. I’ve been lucky enough to visit the Big Island a few times before this trip. 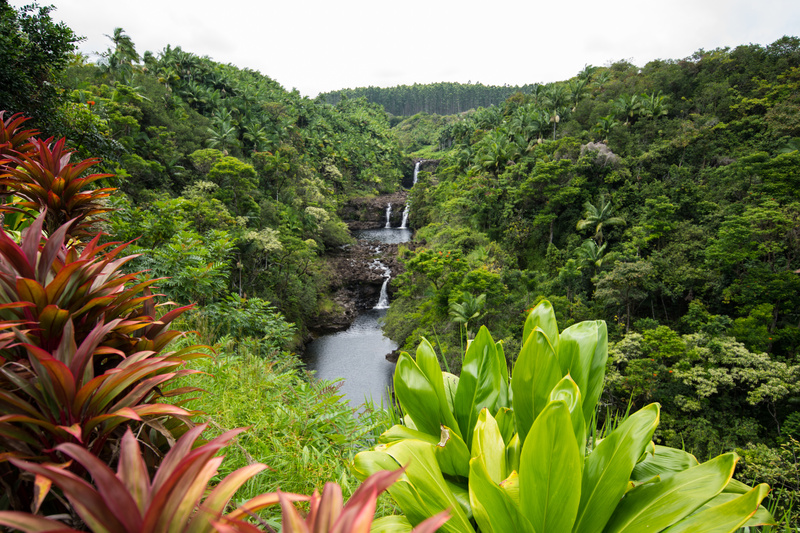 When I’ve visited the Big Island, my adventures usually fall on the west coast – primarily centered around Kailua-Kona. For this adventure, we flew into Hilo on the opposite side of the island. As much as I enjoy a hefty dose of sunshine, I felt immediately connected to this side of the island, with it’s cool, humid rainforest climate. My warm dish offerings were extra-appealing to the runners, who faced drizzling rain, winds, and cool temperatures. The 50k finish was atop Hawaiʻi Volcanoes National Park, providing a dramatic, beautiful backdrop after a glorious adventure. Check out a few of my recipes here!